GmailZero uses a whittle down goal to reduce or maintain the size of your inbox over time. 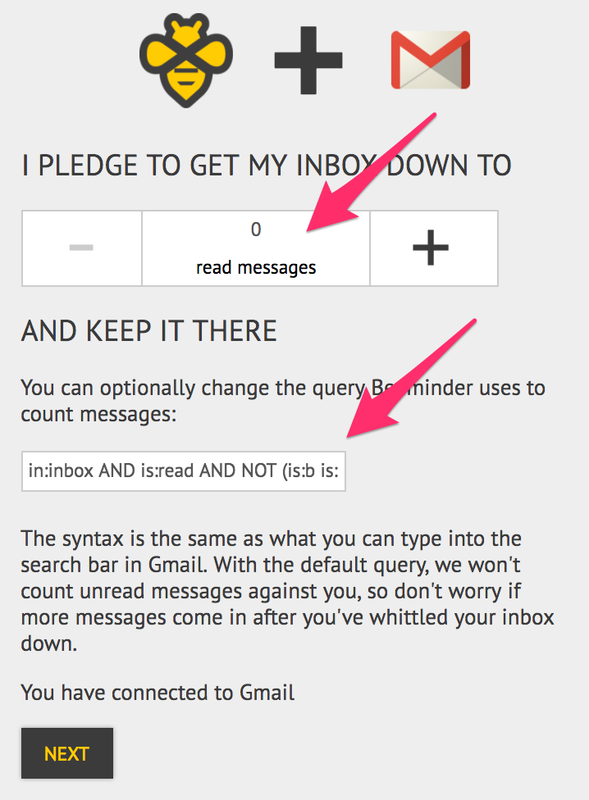 By default, we count up the number of read messages in your inbox, but you can use different criteria if you want. Why are you asking for permission to read my emails? We need to know what's in your email in order to count the number of qualifying items in your email to create Beeminder datapoints. We don't access, read, use, save, analyze, sell, or do anything else with your data for any other purpose. How do I change the query Beeminder counts? When creating the goal, you have the option to choose a different query. Check out this guide from Google to see what types of filters are supported! If you want to change it after creating the goal, you can find it in the goal settings. Note that changing the query will not adjust the road. If you're going from a small count to a large count by changing the query, you may have a lot of work to do before the day ends! I'm pressing the fetch button, but my datapoint and graph don't appear to be updating with new data. Refresh the goal page and check the comment on your most recent datapoint. If the timestamp and value in the comment are accurate, the right thing is happening! 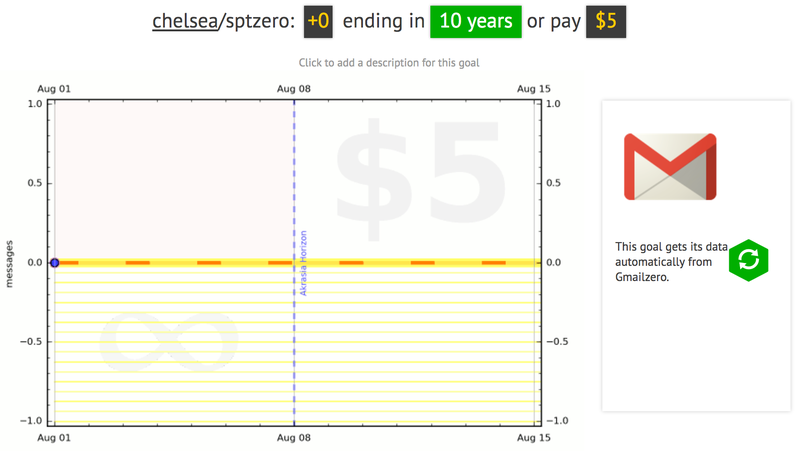 GmailZero goals use the lowest datapoint of the day for your graph, even if it isn't the most recent datapoint. 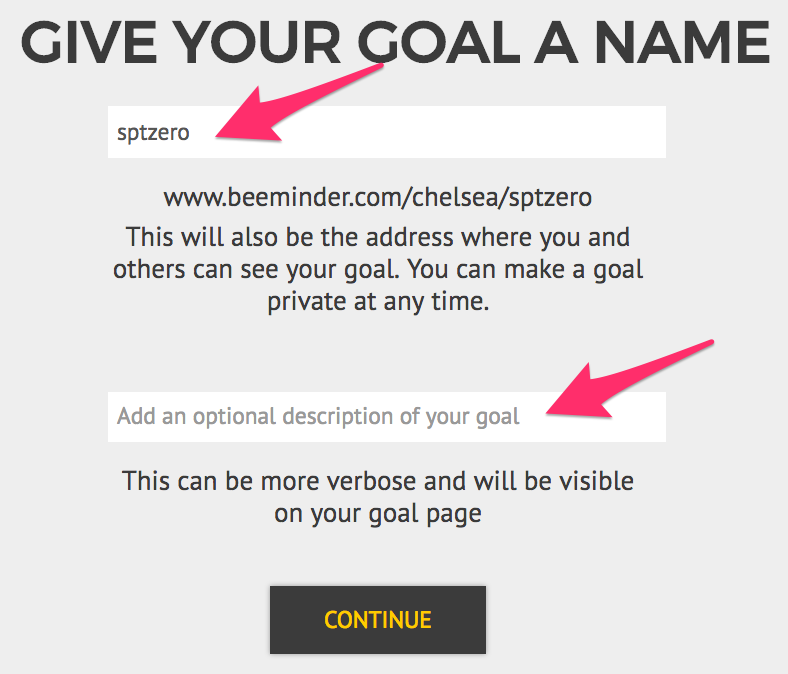 (You can change this by converting to a custom goal and changing the aggday setting.) This is more lenient behavior than many of the other goals have! If you get below the road once during the day & make sure Beeminder fetches the count while you're there, you can let emails pile up again until tomorrow. I'm pressing the fetch button and my datapoint is updating, but it doesn't match what I see in my inbox. Some emails with blank snippets are counted differently between the Gmail UI and the Gmail API. Right now, we're not sure exactly why this is happening. But in almost every case Beeminder has ended up counting a smaller number than the Gmail UI, so you probably won't derail because of this. If you do, please let us know! My GmailZero goal is telling me I need to reach a negative number of emails! Check out this question about whittle down goals. First, pick the final value you want to reach in your inbox. It defaults to 0, but if you'd rather aim for a higher number, that's fine too. By default, Beeminder counts only the readmessages in your inbox and uses that as your datapoint for every fetch. If you'd rather beemind another category of your inbox, you can change the query we use. It uses the same syntax as Gmail, so you can test out queries in the Gmail search bar before committing! The only rule is that you want to be decreasing this category, so don't pick a section of your inbox that you want to increase (e.g. "sent mail to potential customers"). And now my goal is created! There's still one last step to take for this goal type, though. The graph is being drawn flat and the goal is "ending in 10 years," and that might not be what we need! In the Commit To section of the Commitment tab below the graph, update the goal commitment if necessary to reflect how fast you want to achieve this goal. Maybe you'd rather hit inbox zero this year, than waiting til 2028, for example! Or maybe you don't care about reaching 0, but you do want to commit to reducing it by 50 messages per week for awhile. Press Update to submit any changes if necessary, and your goal will start taking shape 7 days from now!